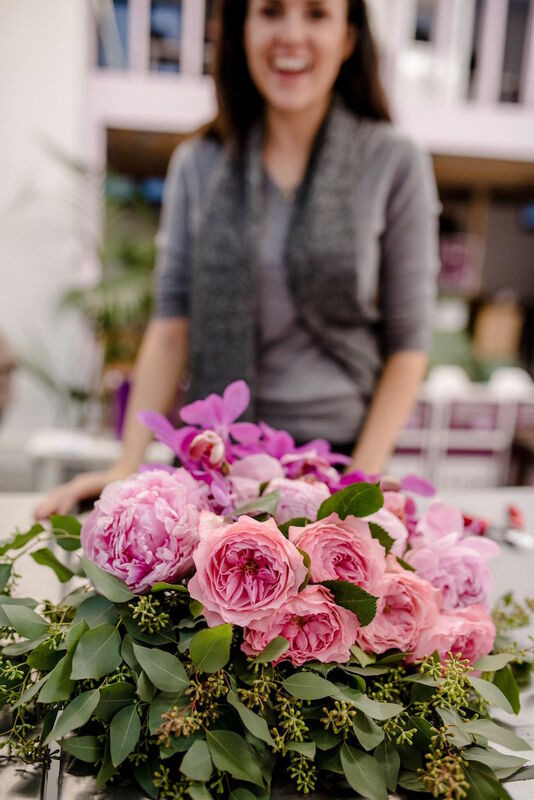 While I’m not biased when it comes to flowers, I do have a few favorites that always seem to catch my eye, like peonies, garden roses and orchids. And of course you know I love my neutrals, so I threw in some eucalyptus for good measure. I’ll be sharing more of my bouquet in a fun entertaining post next week, but in the mean time, I hope you enjoy some of the thoughts that were behind it and some of the BTS moments that went into making it. And if you want to get those Valentine’s Day flowers ordered early (it’s same day delivery in NYC and next day in the northeast) or you just want a bouquet that helps you "stop and smell the roses", you can order the one I created here (FYI, if you use code AlyssaxOALR you’ll get 10% off! ).